FB-ISAO wants to continue to engage with members, partners, and the broader community of faith. 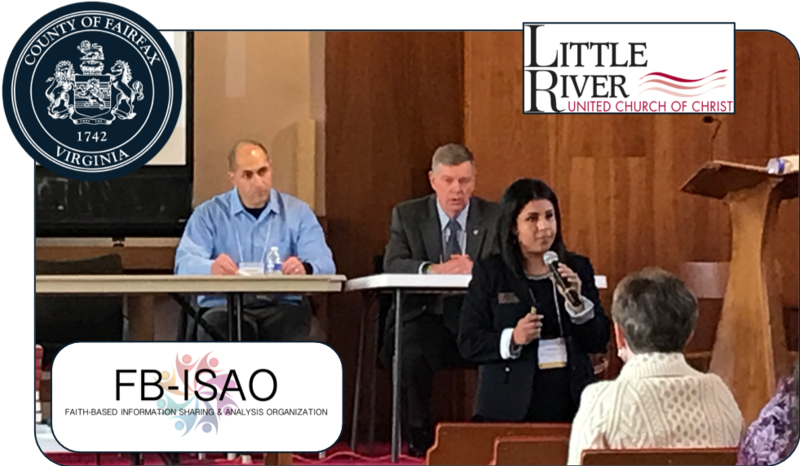 Last month, we had the privilege of participating in a conference in Fairfax County, Virginia focused on “Building Resiliency in the Faith Community.” The one-day event was coordinated by the Fairfax County Community Interfaith Coordination Unit, hosted by Little River United Church of Christ, and was open to all houses of worship in the county. The conference and brought together 126 houses of worship of all faiths and congregation size. Presenters included elected officials, local law enforcement, emergency management personnel, and others. The attendees were energized and ready to address the topic at hand. Perhaps now more than ever, resilience for the faith-based community is critical after a few years of unprecedented violence aimed at houses of worship. In recent years, we have seen tragedies in Wisconsin, South Carolina, Texas, Pittsburgh and just recently across the globe in New Zealand, and to our north in Canada, among other incidents and prevented attacks across the globe and domestically. In fact, in 2017 U.S. faith-based organizations experienced a record of 261 deadly force incidents, according to Carl Chinn, a church security consultant and author who has been tracking violence in all places of worship since 1999, when the country saw just 10 incidents. Conference presenters articulated one common theme; as a community, we need to continue building resilience – especially now, at this time in history when houses of worship of all faiths are grappling with the reality that they could be targets of the next hostile event. This bodes the question; “how do houses of worship build resilience?” Here are some of the easy actions that can be taken now to start or continue the process. Reach out to local government jurisdictions and begin building a partnership. That partnership may lead to activities that can help with building resiliency. Those activities may include things such a walk-through of the premises to point out potential physical or operational weaknesses. Reach out to members of your congregation and see if any of them have experience with security. Tap into those resources for building an in-house security team. Study available government resources on how to enhance security and build resiliency. Many of those resources can be found on our website at https://faithbased-isao.org/resources/. Download and utilize templates that help build a security plan. A good template can be found in this document, starting on page 96: https://www.fairfaxcounty.gov/emergencymanagement/sites/emergencymanagement/files/assets/cerg%20final%20jan%2030%20final.pdf. Apply for grants from FEMA that aim to harden houses of worship. FEMA will release the Fiscal Year (FY) 2019 Nonprofit Security Grant Program (NSGP) Notice of Funding Opportunity (NOFO) within the next 60 days of this post. The NOFO provides requirements and guidance on the program as well as instructions on how to apply. In FY 2019, FEMA will award $60 million dollars in security funding for nonprofit organizations. The application period starts on the day the NOFO is released. Nonprofit organizations are required to submit their application to their state or territory shortly thereafter. More information can be found here: https://www.fema.gov/nonprofit-security-grant-program. Perform tabletop exercises, and other developmental exercises, on a regular basis. 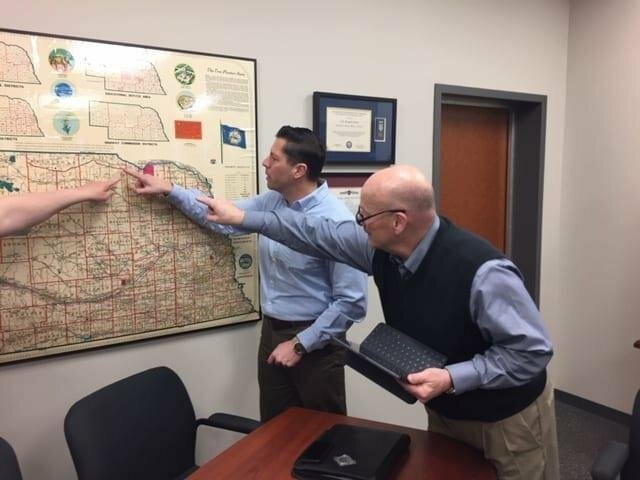 Tabletop exercises enable organizations specifically, in this case, houses of worship, to analyze potential emergency situations in an informal environment. The goal is to start a constructive discussion among participants as they examine existing operational plans and determine where they can make improvements. Complimented with drills and a progression towards a more complete and realistic exercise, organizations can gain confidence and valuable experience. Join FB-ISAO. 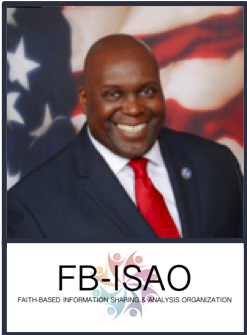 The mission of FB-ISAO is to provide members with information, analysis, and capabilities to help reduce risk while enhancing preparedness, security and resilience. By banding the community of faith together, members of FB-ISAO can share information on risk as well as share best practices on what to do in case risk is recognized or detected. To join FB-ISAO, go here: https://faithbased-isao.org/membership/. Conferences, such as the one hosted by Fairfax County on building Resilience in the Community of Faith, should be – and in many cases already are being – replicated across communities, such as one being planned by FB-ISAO Advisory Board member and the National Program Manager Religious Facilities Protection Program for InfraGard, Curtis Jones, which is taking place in San Diego later this month. Coming together, whether in person or via a platform like FB-ISAO, communities will find the resources, know-how and the logistical support they need to make their communities stronger, safer and more resilient.